No, it’s not an advanced physics problem. It’s a simple equation. Enrolling your 4 or 5-year-old in Amazing Explorer’s free Voluntary Prekindergarten (VPK) program, which features a curriculum centered on science, technology, engineering, arts, and mathematics (STEAM) will give your child his or her best chance to succeed throughout their academic career and beyond. If you live in Florida, your child already has an advantage over children in the rest of the country. That’s because Florida is one of the only states to offer state-sponsored free early childhood education for every 4 and 5-year-old living in the state. You can enroll your child at any public school, private school, or preschool that participates in Florida’s VPK program and your child can receive the learning tools they need to increase their chances for success throughout elementary school, high school, college, and beyond. 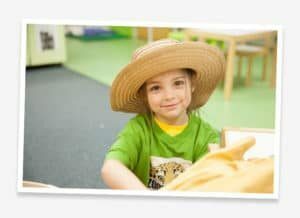 Amazing Explorers is unique among Florida learning centers in that its curriculum was designed by professionals in the fields of science, education, and child development. Our learning focus, including our VPK learning, is based on introducing the STEAM curriculum as early as possible in a way that even the youngest children can understand and enjoy. Children who participate in both VPK and the STEAM curriculum have a huge advantage later in life. And, for Florida parents enrolling their 4 or 5-year-old children in the private Amazing Explorers program is absolutely free! For parents looking for a VPK program keep Amazing Explorers in mind. Give your child the benefit of Florida’s free VPK learning combined with Amazing Explorers innovative STEAM curriculum pass you by.